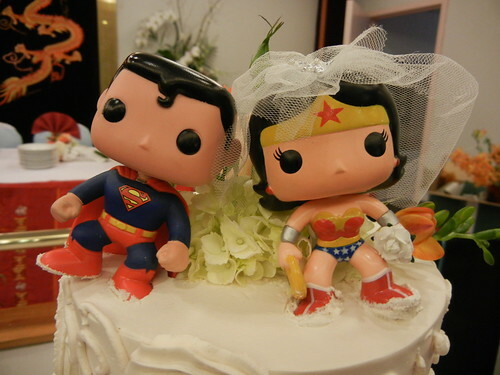 cutest wedding topper, originally uploaded by pengrin™. I have never seen these before! CUTE wedding shoes! - Sketchers! Horse tries to eat the wedding bouquet! Wedding Cars & Merry Go Round! Retro Bride with blue cat eye glasses! LOVE these BOOKMARKS as Wedding Favors! The Sack - Cute Purse for the Honeymoon! Wedding Book Planner & Organizers for the Bride! French Bride's hair from behind. Arrivée de la mariée - French Wedding! Get Married in-- Gordes, France. Cherry Blossom 6-tier wedding cake! Wedding Chocolate Mud Cupcakes Wedding "Cake"
Curly updo wedding hair with flower.